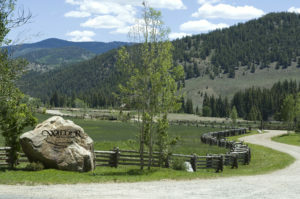 This is the fourth and last in a series of articles titled “Taylor River Ranch: A Storied Background.” These articles provide a snapshot of the rich heritage of Wilder on the Taylor, a ranch located between Gunnison and Crested Butte, Colorado that dates back to homesteading days in 1893. The previous article chronicles the Wolfes, Leonards and a cattle company that helped define the ranch for the four decades after World War II. 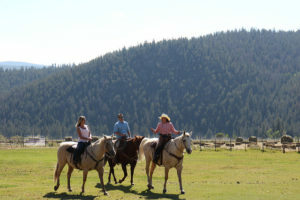 In this installment, discover how the ranch became known as Wapiti Canyon Ranch for nearly 20 years; when Don and Shelly Sabrowskis were hired and why they have stayed for nearly 25 years; and how the current owners fell in love with the ranch and are dedicated to preserving and protecting this special place. The series is based on a book written by William R. Simon and published by Wilder in 2017. We begin where the last article left off, when the owners of Elsinore Cattle Company (the descendants of Edwin W. Giddings and William O. Lennox) agreed the great Colorado ranch should be sold. Sonny Brown, an avid fisherman and hunter, owned a home six miles from the ranch at Crystal Creek and became aware that the Elsinore Cattle Company owners were motivated to sell. The property had languished on the market for several years. Brown made a cash offer that was accepted in 1988 and renamed the property Wapiti Canyon Ranch, after the Shawnee name for elk. 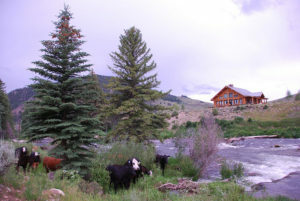 The four existing cabins with prime locations along the Taylor River underwent major makeovers and to help defray ranch expenses, the cattle and hay operations continued. A string of ranch managers came and went until Don and Shelly Sabrowski were hired in 1995. It was a good fit for the couple, and the ranch has been their home ever since, adding their sons, Calvin and Clay, along the way. The Sabrowskis graduated from New Mexico State University in Las Cruces with degrees in animal science, and Don also double majored in agricultural economics. Prior to arriving in Gunnison County, they worked for a yearling cow/calf operation in Rye, Colorado. At Wilder, not only do the Sabrowskis oversee the 300-acre Timothy hay crop, cattle and horses, they are involved in the property’s development, take care of maintenance, and welcome homeowners and guests. 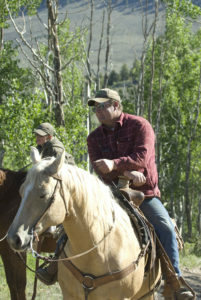 Don also is a master guide at Wilder, offering trail rides and ranching experiences such as moving cattle to the nearby Almont Triangle in May and bringing them back to the ranch in mid-July. The Sabrowskis have been very active in the local agricultural community, with Don volunteering time with the Junior Livestock Committee and Gunnison County Stockgrowers and Shelly serving as a 4-H club leader, Gunnison County 4-H Council advisor and on the Gunnison County Extension Advisory Board. Shelly’s first impression of the valley was one of indescribable beauty. “Oh my gosh, we’ve got to have this job” was her reaction after seeing the ranch. The ranching year followed the seasonal pattern long familiar to Gunnison ranchers. Branding newborn animals was the biggest event on the calendar, and Wapiti set aside three labor-intensive days to mark several hundred calves. About 20 volunteer workers from nearby ranches would answer their call for help, confirming the Western culture of neighbors helping neighbors. “It was a lot of work, but a ton of fun,” Shelly recalled. Branding days always ended with a feast. Don’s mother took the reins for that chore and could always be counted on to prepare a sumptuous spread that included slow-cooked brisket, beans, homemade rolls, pies and cakes, all made from scratch. “We set up tables down at the barn. It was a fun time to get together with all your friends,” Shelly noted. After branding came the turnout, driving the cattle nine miles up Spring Creek to the U.S. Forest Service summer grazing allotment. It, too, called for neighborly assistance. Carefully navigating the herd past the summer home section of Spring Creek required a controlled cattle drive and large numbers of cowhands to manage it. In 2002, Mother Nature disrupted the seasonal ranching cycle when drought devastated the hay crop. 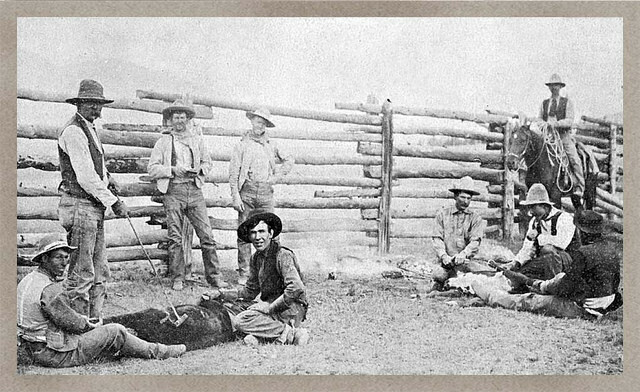 Wapiti was looking at large losses if it had to buy hay for the herd’s survival over the winter, so the cattle were sold. 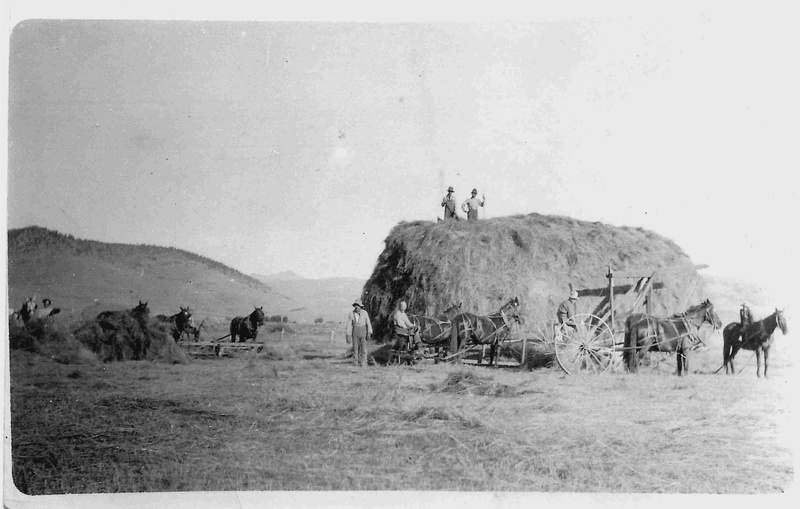 Later, when the dry spell ended, haying resumed its traditional agricultural role and produced profitable harvests. Drought may have brought an end to commercial cattle ranching at Wapiti for a time, but the Sabrowskis had no intention of giving up on raising stock, even if only within their family. Participation in the county’s 4-H program became the catalyst for passing on their agricultural interest and knowledge to Calvin and Clay, who have won numerous grand champion titles in cattle breeding, market and showmanship categories at the Gunnison Country Fair, which is part of the iconic Cattlemen’s Days that is celebrating its 119th year in 2019. They also have shown their winning cattle beyond Colorado’s borders, and Calvin is now attending college. 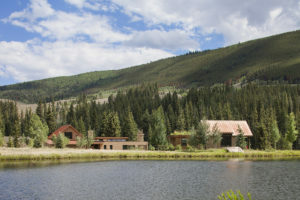 In 1995, Lewis and Janet Shaw built a vacation home located just up the road from Wapiti Canyon Ranch at Crystal Creek. Most of their neighbors were involved in the oil industry and resided in Midland, Texas, and the Shaws enjoyed socializing with the community, experiencing the outdoors and spending time away from the city. The Shaws always admired the broad meadow and the hay swaying back and forth as they passed Wapiti on their drive from the Gunnison-Crested Butte Regional Airport to Crystal Creek. 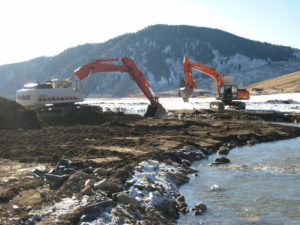 In 2007, the real estate market in the Gunnison-Crested Butte Valley and around the country reflected what economist Robert Schiller called “a heightened state of speculative fervor.” Aware of the Shaws’ affinity for the Taylor Canyon and Jackson-Shaw’s reputation for creating quality developments that are imaginatively executed, Sonny Brown encouraged Lewis to buy Wapiti. Lewis reached out to Tom Swift, also an avid outdoorsman and real estate developer from Dallas. He hoped Swift would understand the vision and want to be a part of keeping Wilder a working ranch for future generations. Swift not only joined Shaw as a founding principal partner from the inception, but also became one of the first new homesteaders at Wilder, building a log home for his family to enjoy. Lewis and Janet sold their Crystal Creek residence and built a mountain modern home and guest cabin at Wilder. Ron Welborn, Jackson-Shaw’s vice president of development, also was tapped by Lewis to join him in managing the venture as an operating partner. The vision of Wilder on the Taylor as a ranch community was on its way. 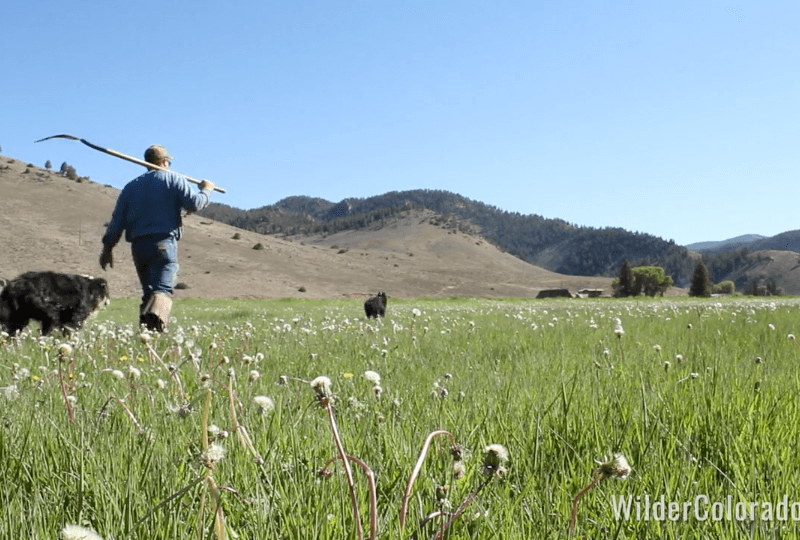 Preserving the natural beauty of the land that is home to great wild herds of sheep, elk and deer and protecting the fabled Taylor River cascading along the ranch meadow’s edge become a central focus. The decision was made to cluster a community of homes on approximately 30 acres of the ranch, preserving the balance of the 2,000 acres for the private enjoyment of owners and wildlife. It was determined that environmental protection and economic viability could be accomplished with the sale of river and mountain homesteads tied to shared ownership of the easement-protected property. The plan increased the size of the hay meadow and maintained it as a pristine site, unchanged from the ranch’s origin. 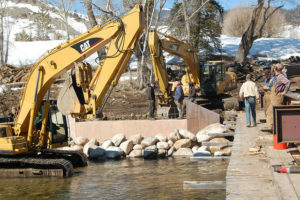 DesignWorkshop, the Aspen landscape architecture and land planning company Jackson-Shaw hired, effortlessly embraced this vision. Jackson-Shaw’s priorities matched what DesignWorkshop does best, focusing on conservation development that creates sustainable places of timeless beauty, significant value and enduring quality. Land analysis by DesignWorkshop confirmed Henry’s initial impression that Wilder felt historic from the start with its beautiful hay meadow, the river, and cabins evocative of the homesteading era. In fact the company used the term homestead in its design standards and guidelines when referring to home-site selection. Being a homestead owner means being involved in the preservation and restoration of this historic ranch. Of the three land plans DesignWorkshop submitted, the operating partners chose the low-density option with 29 homesteads, each with 35 acres and a one-acre building envelope. Land outside the homesteads was protected from development by an overlay easement that assured owners that the historic ranching and natural landscapes would be preserved in perpetuity. Within the one-acre homesteads, the design standards and guidelines direct development toward unobtrusive architecture. Jackson-Shaw also recognized the Taylor River’s proven history as a prime place for fishing and a magnet that has drawn tourists and owners to its waters for more than 50 years. 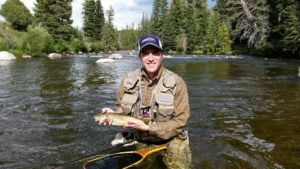 After DesignWorkshop sketched the water amenities, Matt Weaver, a fish biologist and owner of Five Rivers Restoration in Montana, was hired to expand Wilder’s water features, doubling the size of the streams and ponds. Rarick Creek, fed by water from Rarick Gulch and Spring Creek, now winds across two miles of Wilder meadow before emptying into the Taylor and there are six fishing ponds. Weaver also applied his expertise to the Taylor River when studies showed Wilder’s principal fishery would benefit from restoration. 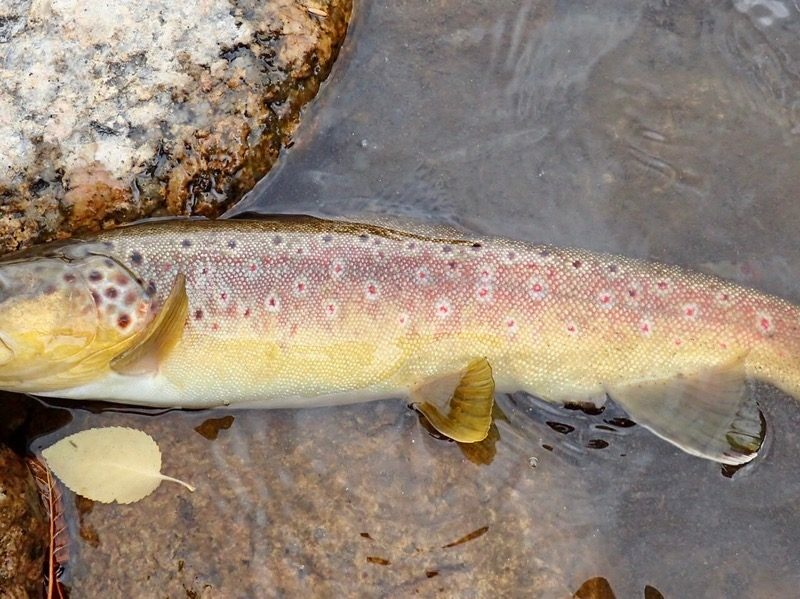 The waterway’s steep grade limited trout habitat, and fish found the turbulent current a tough environment in which to rest and feed. Weaver responded by scattering boulder clusters at intervals along Wilder’s two-mile stretch of river. The riverside tourist cabins built by the Redden family, although adapted over the years, continued to fulfill their historic purpose as lodging for a fishing camp community. Nestled in the heart of Wilder’s platted river home sites and sprinkled around a huge lawn, the log structures last served as guest cabins for Sonny Brown’s family and friends. John Cottle and Chris Touchette of CCY Architects in Basalt, Colorado designed the prototype cabin upgrade so homestead owners can stay and check on the progress of homes they are building on the property and also use them for guest overflow. Wilder also tapped Lu Warner to join Don in creating a master guides program. 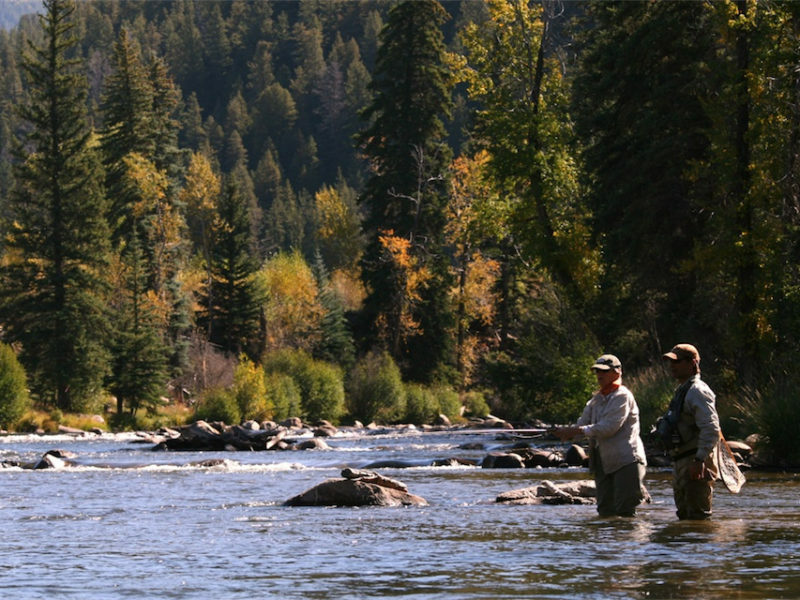 In addition to providing owners and guests with unforgettable outdoor experiences, they also instill Wilder on the Taylor’s commitment to preserving wildlife and water resources and ensuring all agricultural and recreational pursuits (fly-fishing, hiking, mountain biking, horseback riding and hunting) are done with respect for the land and nature. 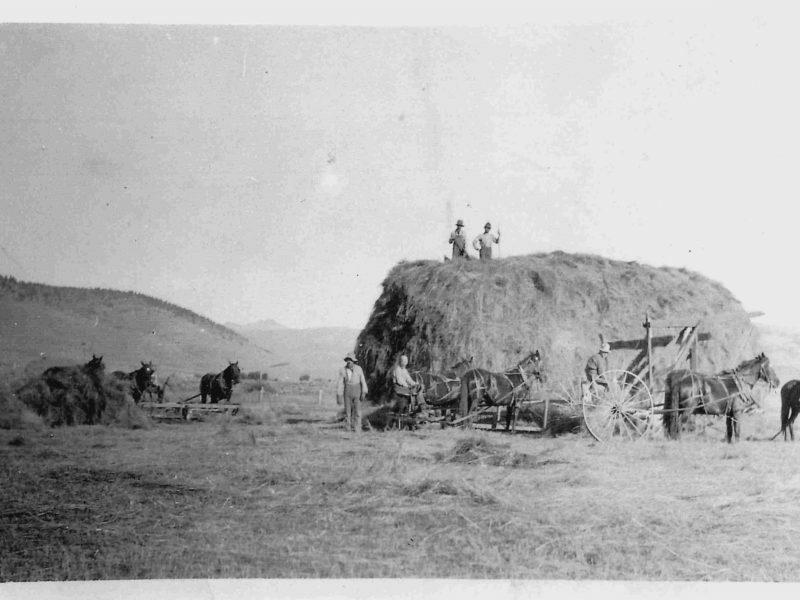 The ranch’s abundant timothy and meadow foxtail hay harvests continued but the ranch’s other agricultural pillar, cattle, was sorely missed. 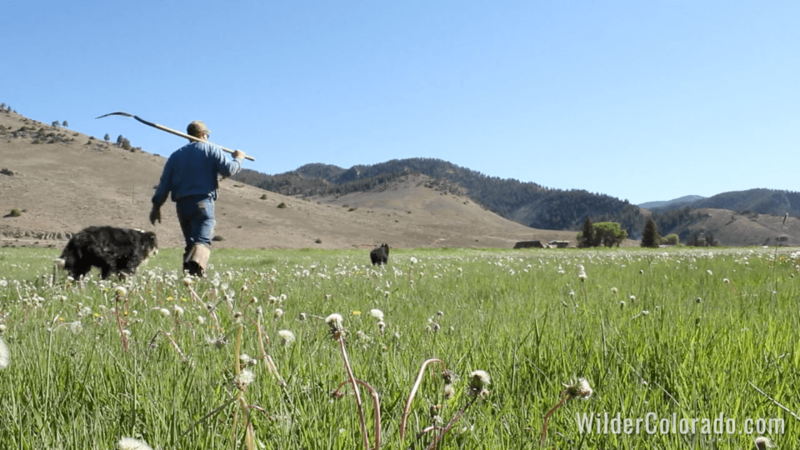 At the urging of the Sabrowskis, a small commercial herd of between 50 and 100 animals now browse leased U.S. Forest Service land adjacent to the ranch during the summer and graze Wilder grassland and hay at other times of the year. Today, we look back on this Taylor River ranch’s storied background while the vision for Wilder on the Taylor is underway. New homes are being thoughtfully built at just the right pace, and owners are finding the perfect place for a Rocky Mountain respite from today’s busy lifestyles. Thoughtful consideration of even mundane planning issues has fostered a design environment focused on excellence and sustainable land preservation, while also building a sense of place at the ranch. For more information on Wilder on the Taylor and the Crested Butte land for sale, visit WilderColorado.com.